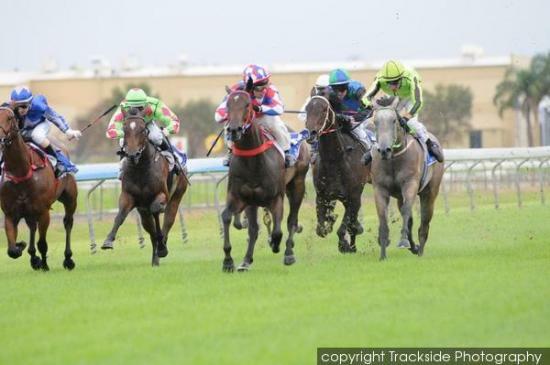 Pandora Charm opened her winning account this preparation with a gutsy win at Caloundra on Wednesday. The Monashee Mountain mare had placed at her last two runs and held on for victory from the fast finishing Do Not Go Gentle. Ridden by Lani Fanourt, Pandora Charm was allowed to settle before hitting the lead half way down the straight and showing tenacity to keep on fighting at the line. It was a great day for David and Sally Laing who bred Pandora Charm as her younger half sister, Fleur DÓrage made an encouragable debut in the two year old event when she stormed home late for fourth. The Laings race the two daughters of Charm Buster with friends and look likely to toast the mare again in the not too distant future.